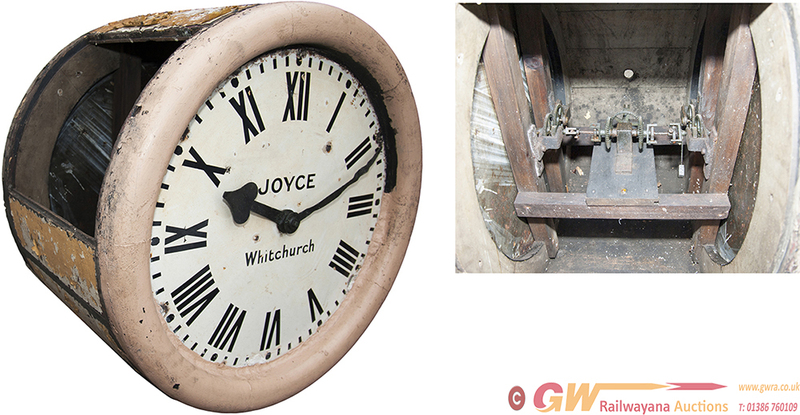 LNWR double sided platform Slave clock with original dials marked JOYCE WHITCHURCH. Complete with slave movement and hands. Would make a great display piece. Measures 29in diameter and 21in deep.